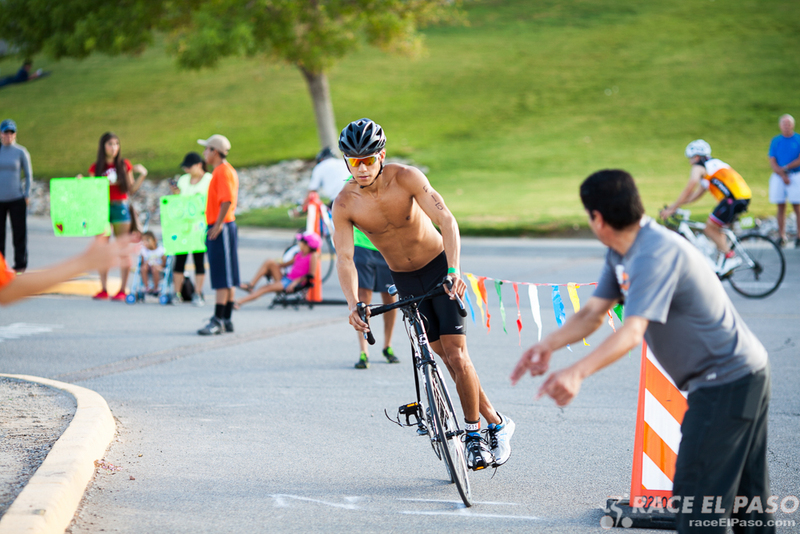 El Paso's premier multisport event, Eagle in the Sun Triathlon has introduced thousands to their first triathlon. Now entering its 10th year, the race is a favorite for new and experienced athletes alike and welcomes relay teams in addition to individual competitors. All Eagle in the Sun Triathlon participants are required to update their estimated swim times BY AUGUST 29. See below for more details. Each athlete must pick up his or her own race packet and show photo ID. RELAYS: Each member of a relay team must attend packet pick-up and show photo ID; please plan accordingly. If a relay team is unable to attend packet pick-up together, race numbers will be released only after all members of a team have presented photo ID. Entry fee includes moisture-wicking race shirt, athlete bag, water bottle, swim cap, post-race snacks and drinks, an interactive race day Expo, chip timing, and more! Finisher medals for all participants! 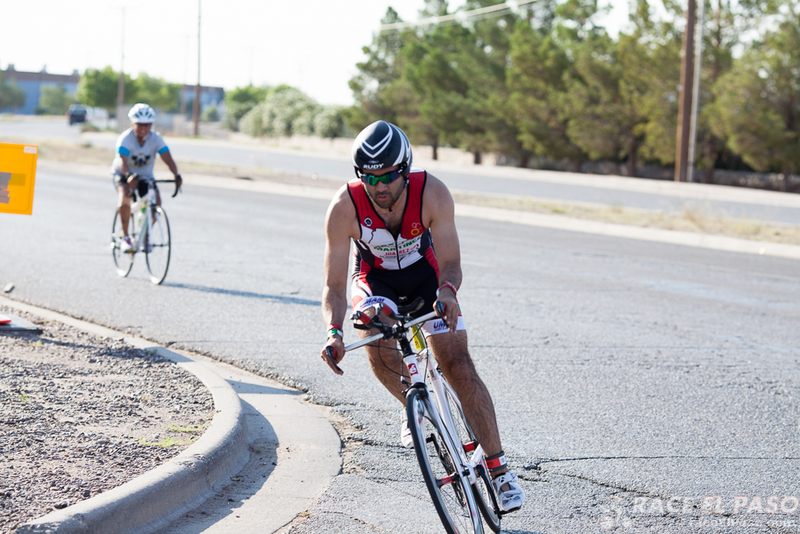 Eagle in the Sun Triathlon benefits scholarships for El Paso area students. Entry fees are non-refundable and may not be transferred to another person. 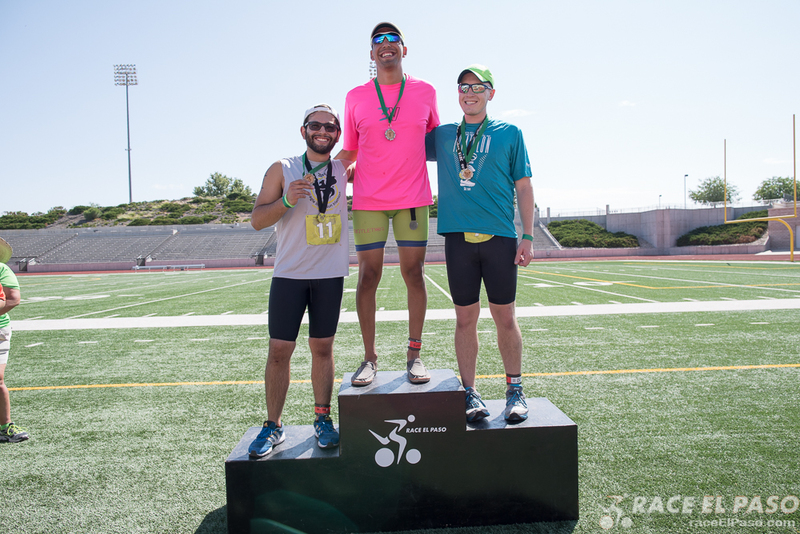 Participant may defer fee and apply it to another Race El Paso event within the same calendar year. 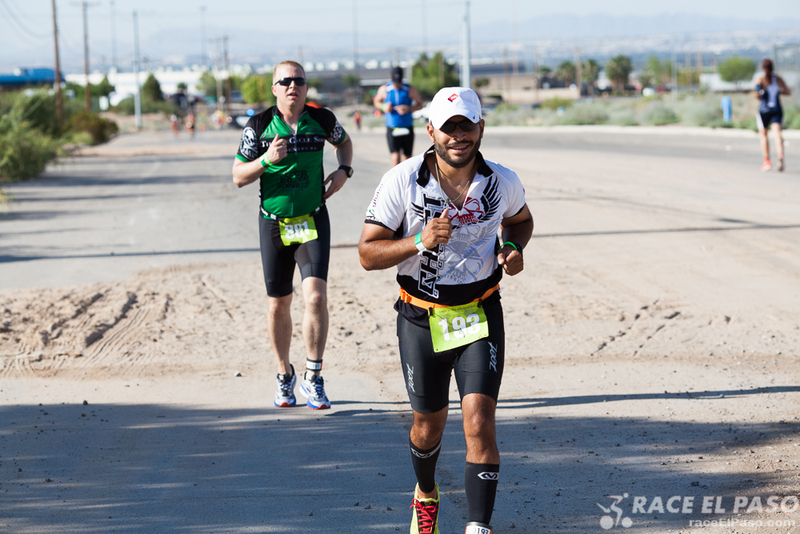 Contact Race Director by email at gg@raceelpaso.com to request deferral. 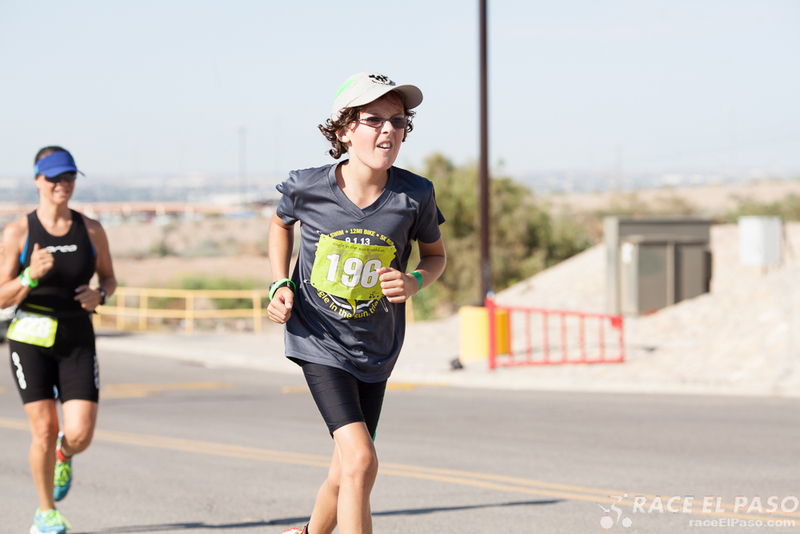 Eagle in the Sun Triathlon supports a scholarship fund at El Paso Community Foundation for El Paso-area students. Participants may sign up to raise funds. Participants who meet the goal of raising $500 will receive a refund of their race registration fee. All fundraising will be online through RunSignUp, and registrants who sign up to raise funds will be able to direct others to their fundraising link. 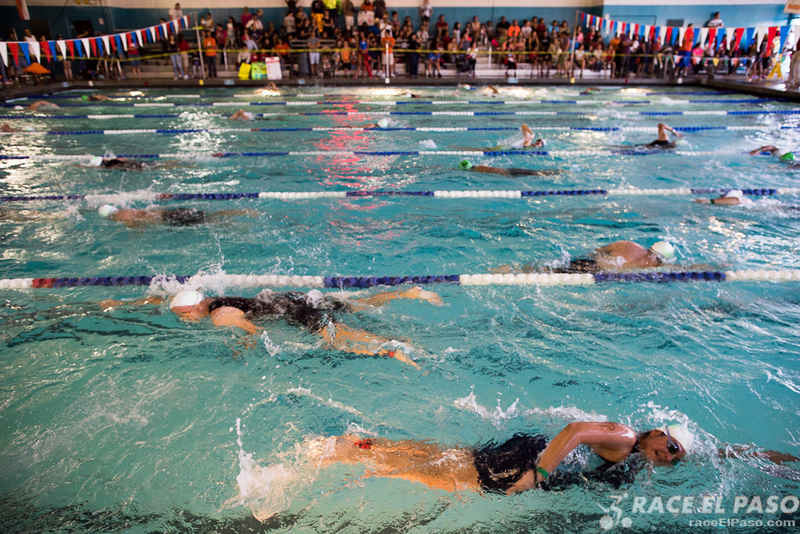 All participants must update their estimated swim times BY AUGUST 29. Athletes who do not update their swim times will be placed in the second wave following the first wave of all athletes with updated times. 2. Time yourself in the 400-meter swim or ask a friend or lifeguard to time you. 3. Swim 400 meters giving it your best effort! 400 meters is 4 out-and-back laps or 8 lengths of the pool. 4. Submit your 400-meter swim time update online BY AUGUST 29, using the button below. Please make sure to use the exact name you entered at the time of registration. Submit your updated time only once. Eagle in the Sun Triathlon is USAT-sanctioned; USAT rules apply. All athletes must be members of USA Triathlon to compete. If you do not have an annual membership, you may purchase a one-day pass for $15 during registration. Athletes must be 12 years old or older to compete in the individual category. Children under 12 may participate as swimmers or runners on relay teams, but they may NOT participate in the cycling portion of the triathlon. USA Triathlon calculates a participant's race age as their age on December 31 of the race year. Every athlete must pick up his or her own race packet. Packet pick-up will require photo proof of identity (driver’s license, passport, etc). RELAYS: Each member of a relay team must attend packet pick-up; please plan accordingly. If a relay team is unable to attend packet pick-up together, race numbers will be released only after all members of a team have presented photo ID. Individual Triathlon / Awards go to the Top Male Overall and Top Female Overall. First through third place will be awarded to males and females in each of the following categories: 15 & under, 16-19, 20-24, 25-29, 30-34, 35-39, 40-44, 45-49, 50-54, 55-59, 60-64, 65-69, 70-74, 75+. First through third place will also be awarded to Clydesdales (Males 220+ lbs) Under 40, Clydesdales 40+, Athenas (Females 165+ lbs) Under 40, Athenas 40+. Aquabike / Awards go to the top 3 male and top 3 female competitors. Relays / Awards go to the top 3 teams in the 2-person Relay and 3-person Relay divisions. Chip Timing by DoMore Race Services. Road bike rentals are available on a first-come, first-served basis at Trek El Paso (Westside 915-270-9996 & Eastside 915-225-0011) and in Las Cruces at Outdoor Adventures (575-521-1922). Reserve early! Discounted hotel rates are available for Eagle in the Sun Triathlon participants! All entry fees are non-refundable and non-transferable. Registrants may defer their registration to another Race El Paso event within the same calendar year. Email gg@raceelpaso.com to make request. Registered athletes seeking to change their registration from Individual to Relay or vice-versa may do so by logging into their RunSignUp account. CLICK HERE for instructions on how to change from one distance to another.